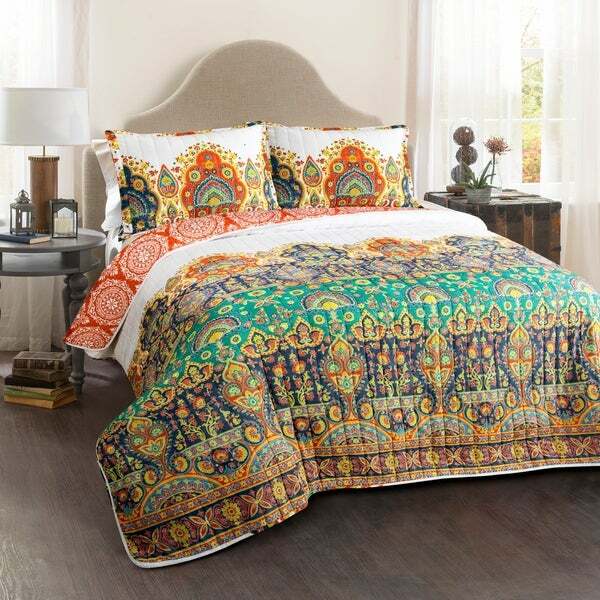 The colorful and eclectic design of this cotton quilt set come together beautifully. This bedding set will shine in your master or guest bedroom. It would fit beautifully in a boho decor theme. The set comes complete with two matching pillow shams. Machine Wash Cold, With Similar Colors, Gentle Cycle. Use Only Non-Chlorine Bleach When Needed. Tumble Dry Low, Light Iron If Needed.